Rustic style conquers the world! Feeling in some countryside, in relaxed atmosphere and with nature outside and even inside is beyond price. We’ve already told you of rustic kitchens and now it’s time to go to sleep in rustic chic. Rustic style can be many-sided: with touches of natural, vintage, shabby chic, minimalism, industrial and feminine styles. Taken as the base of the décor rustic style brings extreme coziness and warmness even in combination with industrial and minimalist styles. Wooden beams, floors, walls and ceiling – that’s a perfect base; then add some natural wooden furniture, checked patterns, antler and fur are the characteristic things for such interiors. Any color scheme and any style for addition – it’s up to you. 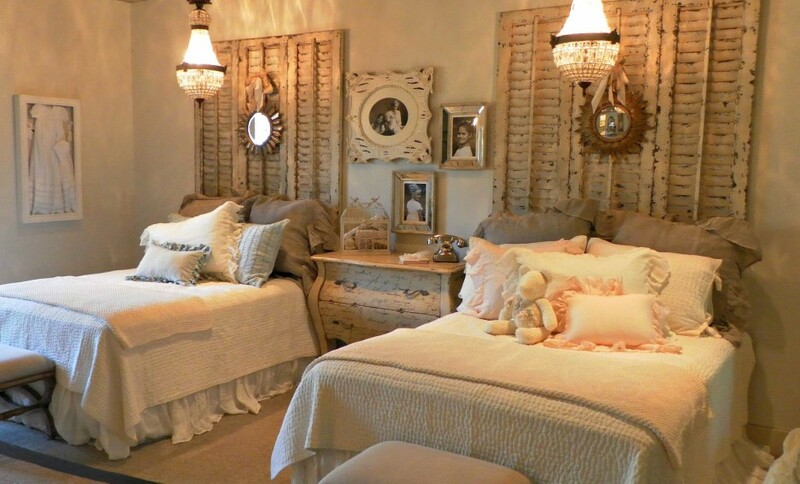 Below you’ll find some elegant examples of rustic bedroom designs, enjoy and get inspired! Whatever combination of styling suits you, all charm to your space by mixing rustic and modern. 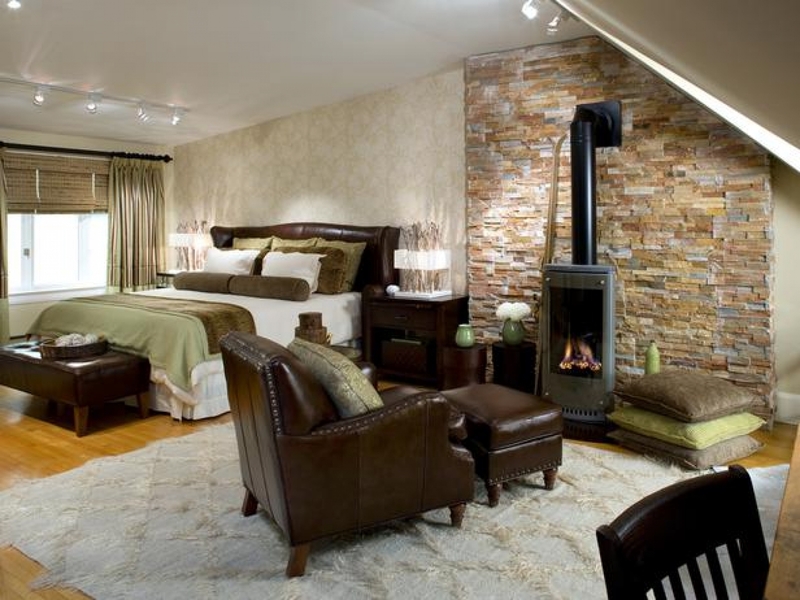 Having weathered walls and modern furnishings creates an incredible and stylish appearance. 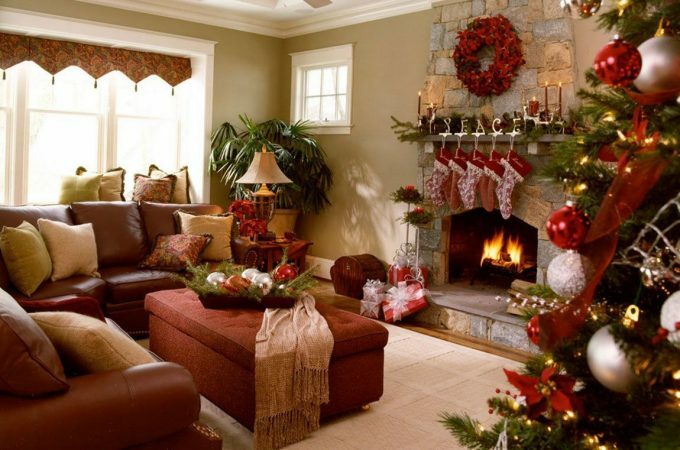 You can infuse your space with coziness by adding a fireplace, bathtub, an antler on the wall or an animal skin area rug on the floor to create an atmosphere of tranquility and relaxion. Try mixing and matching different texutres, materials and patterns, this is your private haven, have fun with it! Your space can be a romantic oasis, a rustic retreat, a vintage treasure, or a minimalist space that is easy to take care of, try using a neutral color palette and add splashes of color, whatever combination you chose, we have plenty of ideas below to help you get started.